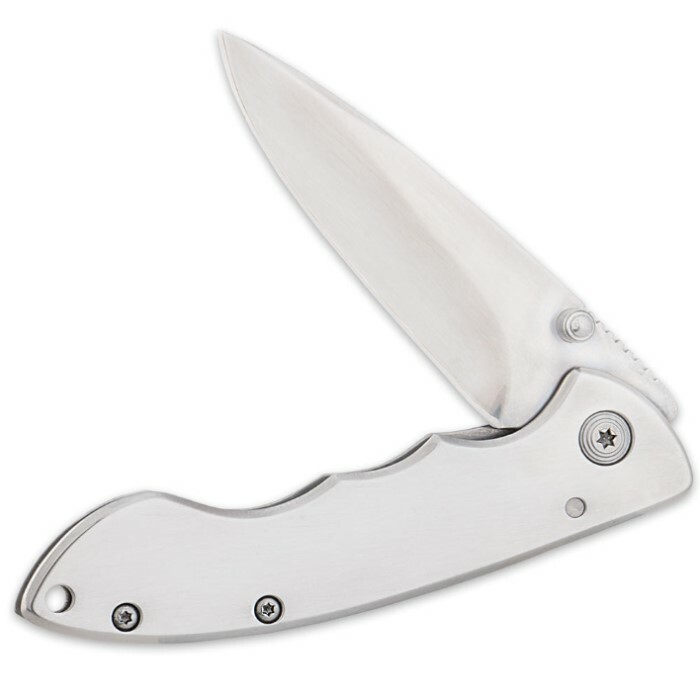 EDC Frame Lock Stainless Steel Pocket Knife | BUDK.com - Knives & Swords At The Lowest Prices! If you're looking for the perfect gift, then take a look at our new Mirror Finish Etchable Folding Knife. Both the body and the blade can be etched with everything from a name to a logo. 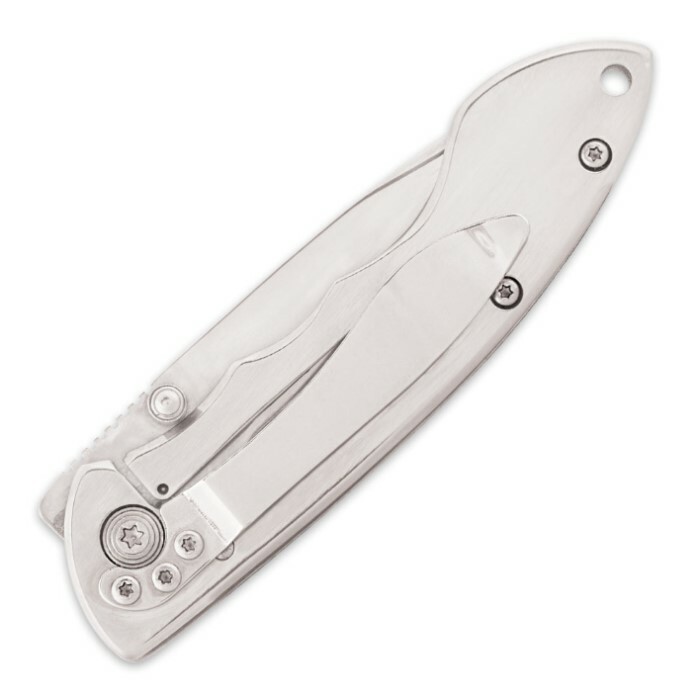 It features a mirror finish and a pocket clip. 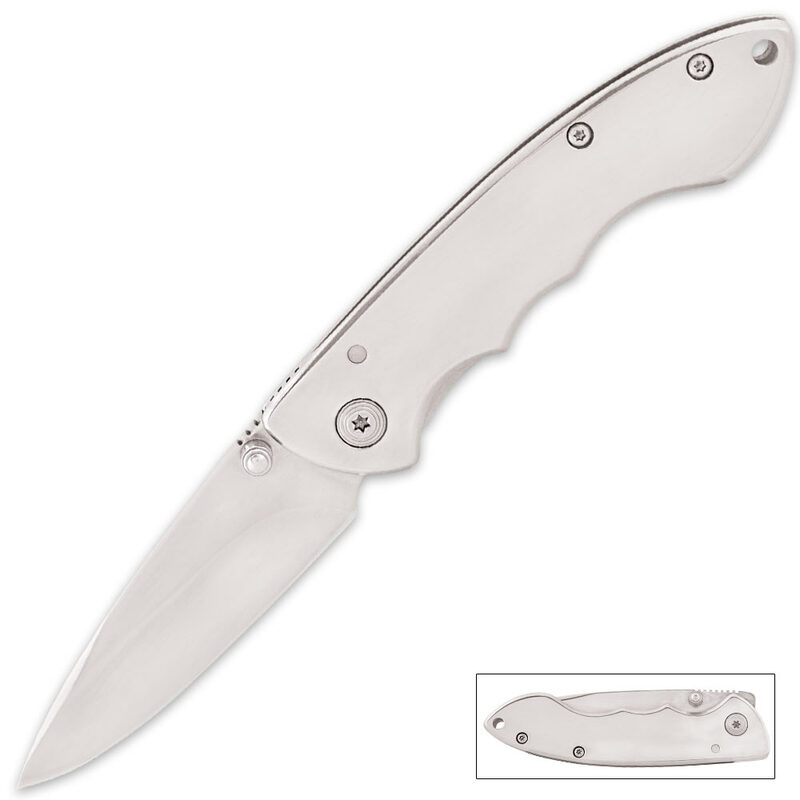 It has a 2 3/4" 3Cr13 stainless steel blade and is 4" closed. Have one etched to day for your someone special!